Ultra High Resolution Prints. Adjustable from 41 down to 25 microns. 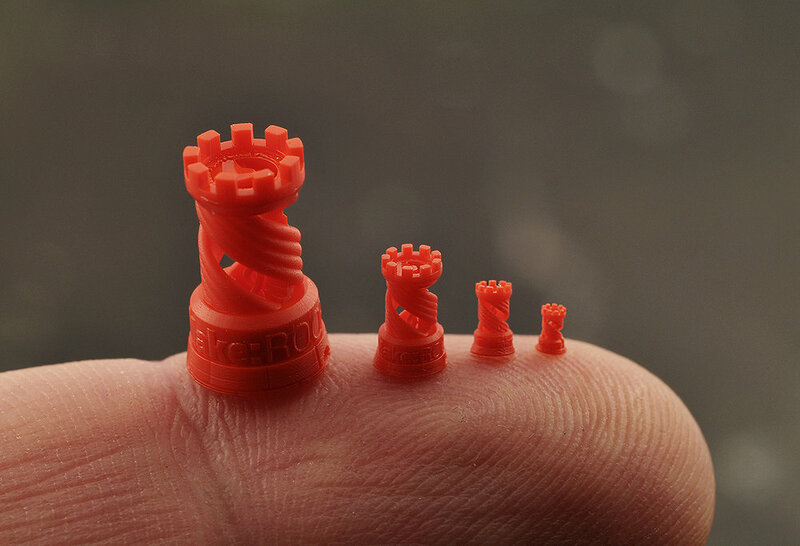 At this price range, there are no other 3d printers on the market capable of 25 micron XY resolution, which gives you unmatched details for jewelry and miniatures. With proper care, there is no need to replace or re-coat the resin tank. We don't use messy PDMS or silicone coatings. Instead we use tough, inexpensive, easy to replace film. Only high quality components are used in the Solus. This ensures the best print surface quality in it's class, that is unmatched even by printers five times the cost. Solus is being used by customers in over 50 countries and in various industries. Solus is being used by hundreds of fine jewelers, ranging from small custom jewelry shops, that only do a few intricate pieces a week, to top manufacturers who do hundreds of prints per month. Solus is not restricted to any one resin, and most 3rd party castable resins can work with the Solus. 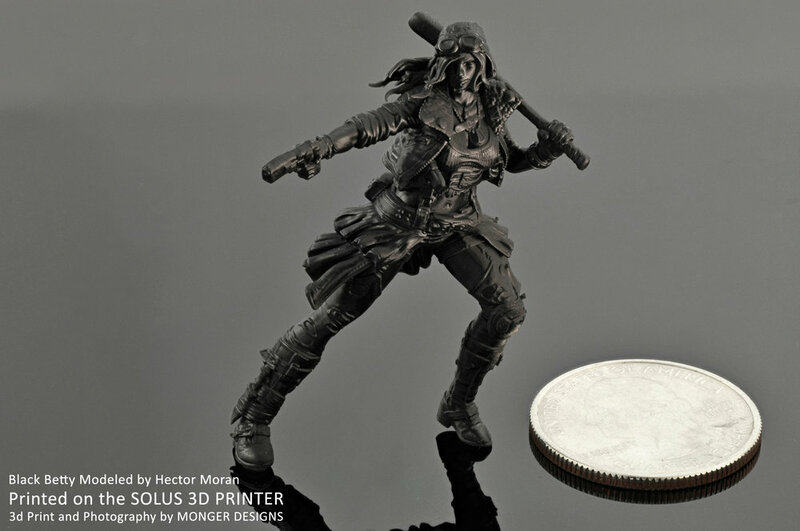 Some of the best miniature gaming companies are using the Solus for prototyping and production. When working with such a small scale and intricate details, the highest resolution printing and smooth surface quality that Solus can provide is exactly what they need. 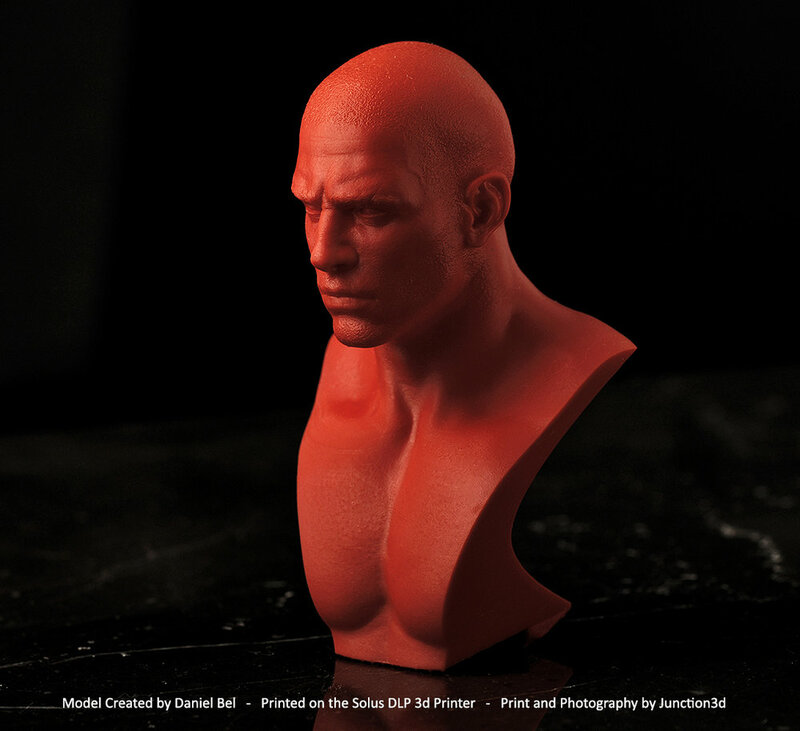 The speed and precision of the Solus is perfect for protyping these models quickly and at the highest quality. Top universities, research labs, and agencies around the world, such as MIT, BYU, PITT, Cornell, and NASA, are using the Solus for medical research, microfluidics, prototyping and more. Solus is capable of printing features that are only 50 microns or less, and works with various types of resins. Click here for links to scientific articles and newsletters that showscase the use of the Solus 3d printer. The SOLUS 3D Printer is created and manufactured by Reify3d. For more information about the Solus 3D Printer by Reify3d click below.